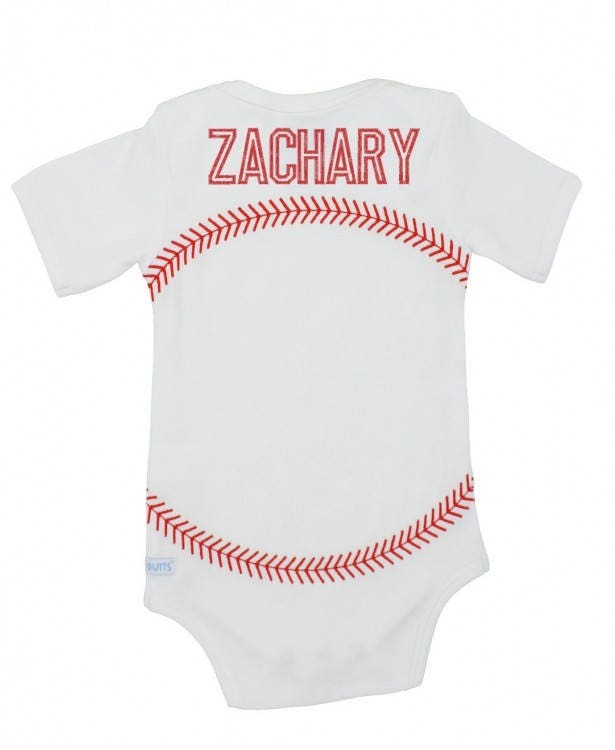 Personalized Baseball Sports Outfit | Baby Baseball Shirt |BABY Onesie Unisex | Customized with a name and jersey number. 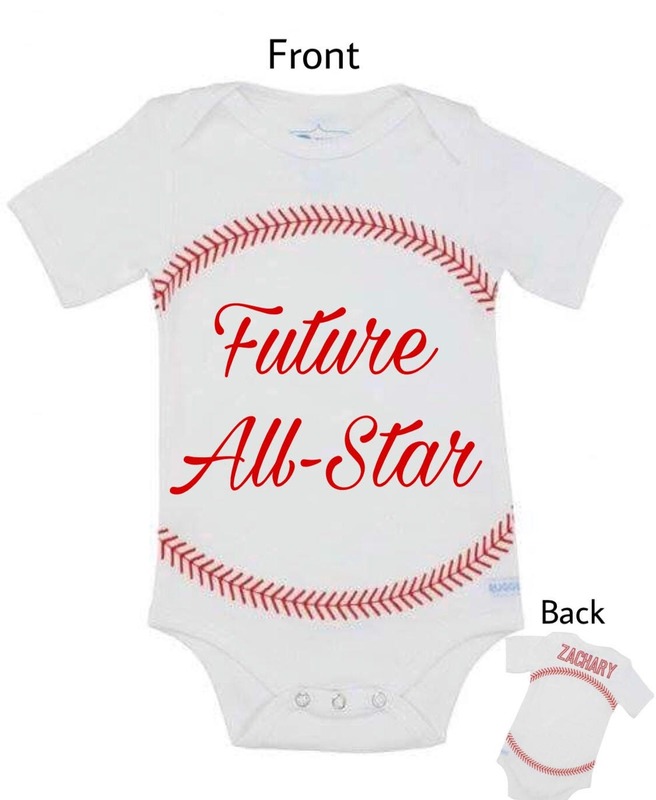 It's time for that adorable rookie of yours to suit up. 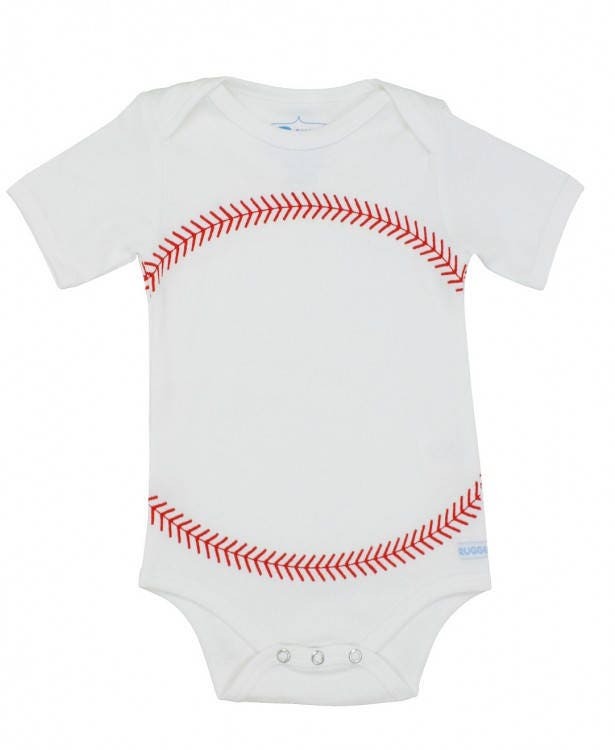 This fantastic, 100% cotton babysuit is printed with baseball stitches on the front and customized with a name and jersey number on the back. Pick the number of a star athlete, a birthday, or the child's birth order number from your own home team roster. Your little one is important to us, and that is why we use only the best quality materials to create our products. 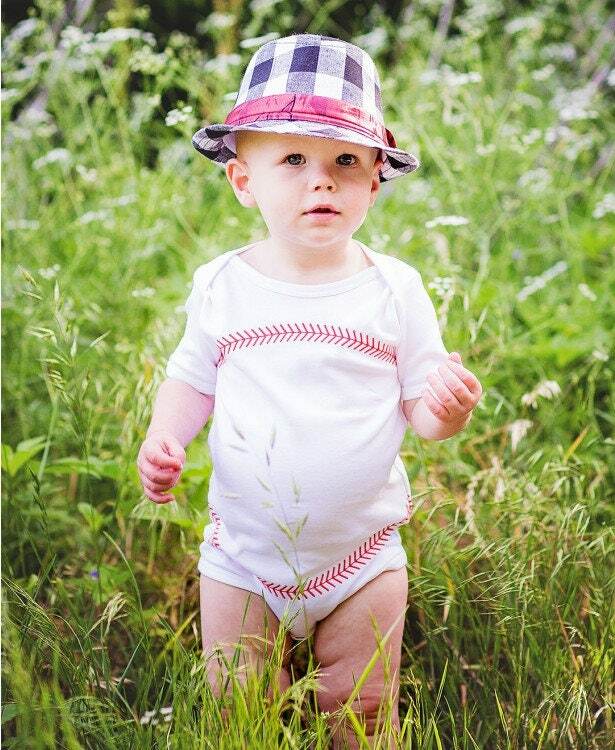 Our baby clothes have all been approved baby safe, extra durable, and super comfortable!